Fun winter activities around Lake Winnipesaukee in New Hampshire are a great way to enjoy the cold weather. Of course, I love downhill skiing. The thrill of skiing down the slopes is invigorating. The views from the top are breathtaking. It's a fun sport. 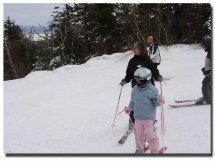 There are so many other winter activities to enjoy in the Lake Winnipesaukee area of New Hampshire. Ice skating, snowmobiling, ice fishing, cross-country skiing, sledding to name a few. Sometimes it's fun just to watch the sport. For example, going to the ice fishing derby is exciting to see all the different bob houses and the people setting up their fishing gear; watching an ice skating show; or the tubing down a hill with kids. Do you have a favorite winter activity around Lake Winnipesaukee? How do you like to enjoy the winter in the lakes region? Do you like skiing, skating, snowmobiling or is there another favorite winter sport that you like to do around Lake Winnipesaukee? I, as well as visitors to the Lake Winnipesaukee area, would love to hear what your favorite winter activity is. Do you visit during winter vacations, take day trips or live locally and enjoy what Lake Winnipesaukee has to offer in the winter? Let us know what your favorite thing to do in the winter is around the Lake Winnipesaukee area. 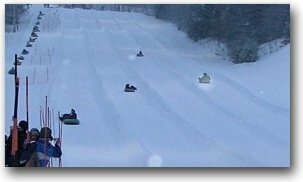 Click on the links below to read other visitors' favorite fun winter activities around Lake Winnipesaukee.